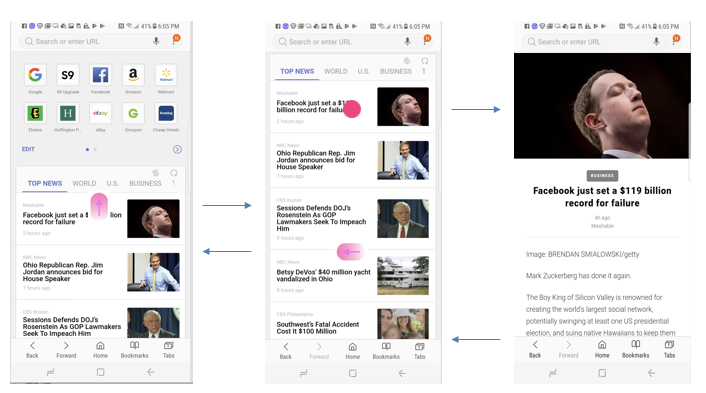 You can now receive news push notification via Samsung Internet v7.4 and be informed of top and trending news from reputable media sources, such as CNN, Reuters, BBC News, and AP, across many categories of interests — world, national, business, technology, entertainment, sports, science, politics, health, food, and travel. Having read a lot of news, particularly world events, I am kept abreast of the top news headlines. Several weekends ago, I had received a news push notification about the passing of Kofi Annan, the former Secretary-General of the United Nations on that same day. Upon opening the notification, I was directed to the intended news article hosted by Samsung News, another new news offering to be discussed more below. The reading experience was simple and clean, especially there were no ads to interrupt my attention. I quickly read it and dug deeper on related articles at the bottom of the article. 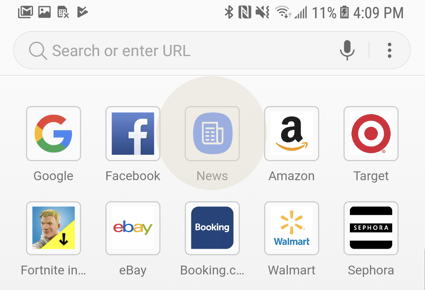 Also, while I was engaged in reading, I had the opportunity to check what else is happening around the world by going to Samsung News, by either tapping back or tapping on “news” logo near the top. You can read more trending news at Samsung News , the other news offerings released this summer. The news per categories are nicely presented without any ads. These same categories correspond to the same that News Push covers — world, national, business, technology, entertainment, sports, science, politics, health, food, and travel. You can configure and go directly to the categories that you are most interested in. Being an avid news reader, I had earlier bookmarked it for easy access. Better yet, Samsung News is one of the default Quick Access shortcuts now being showcased, so I have two convenient ways to get there. 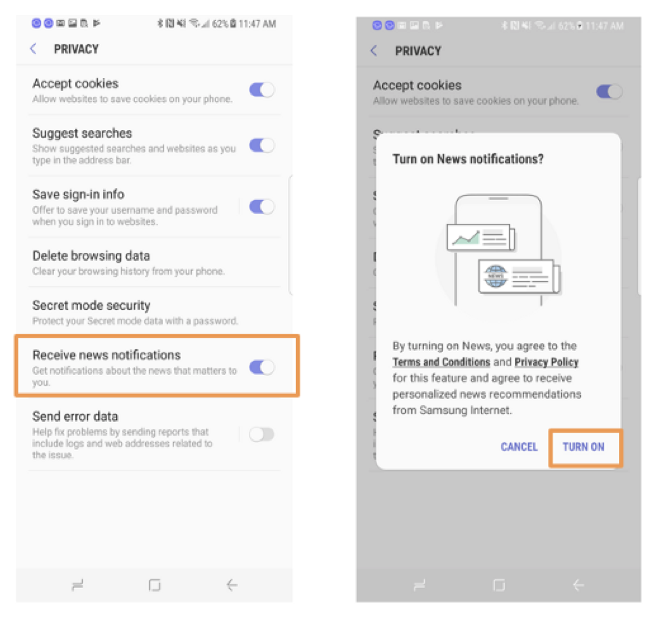 Start reading news on latest version of Samsung Internet v7.4. 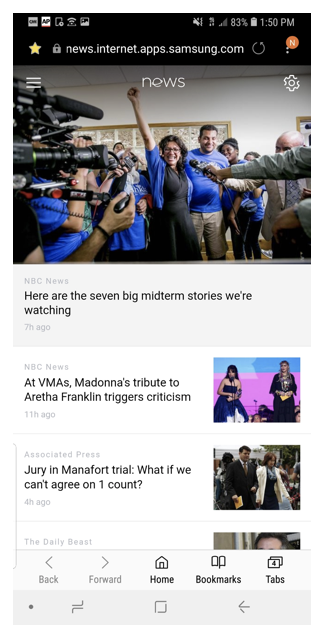 While News Push is only available for our users in US, Samsung News is available for all. In the meantime, as Samsung Internet v8.2 Beta is now being rolled out, you can check out the next news offering. Quick Access home page feature is enhanced by adding news. Swipe up the news section to get a fuller view and start reading across the same categories. By Ren Bitonio on September 12, 2018.